In the digital era, it is time for boards to hear CIOs on CEO selection. In the age of disruption, do businesses need CEOs that are more than just a good financial operator? The CIOs in the #CIOChat believe so. They say CEOs are needed that can build value out of ‘legacy businesses’ by fueling transformation within products, services, and business models. CIOs say CEOs are needed that know when and where to act. These are CEOs that embrace technology and make appropriate business bets. As important, they can tap into wellsprings of innovation and disruption widely, deeply, and effectively. CIOs differ regarding the level of digital skills CEOs should have. Some CIOs say that they don’t need the CEO to be an expert on digital—they need them instead to focus on taking actions that can with technology lead to sustainable growth and bottom-line results. These CIOs suggest that today's tool for achieving results, however, is increasingly technology, so at minimum they want a CEO that cares about tech. As an example, General Electric’s CEO changed his company’s jet engine business model after learning about the streaming data new engines created. Other CIOs feel boards should be on the lockout for CEOs that think digital and this applies, they believe, to just about every industry sector. These CEOs should not only be a business thinker but also a servant-leader that understand the importance of talent and technology. A CEO can have the most amazing innovative business-savvy, but CIOs claim that a CEO can only attain success through people. CIOs believe at the end of the day, businesses operate on and for people. One CIO stressed here even when AI and machine learning become augmentation functions, people still grease, execute, and use the business medium. CEOs need to know in their core that people lead people and not spreadsheets. CIOs said that the business world is full of stories of CEO leadership which focused on the spreadsheet only and as a result experienced a strong decline. CIOs stressed, for example, that customer experience and culture are about people. They say if a CEO fails at either, the best plan will be disrupted because “culture eats strategy for breakfast”. CIOs assert that transformation and disruption are now the keys to survival, renewal, and growth. They say boards should be hiring a CEO that can do more than sustain financial results. CEOs, they believe, need to successfully navigate the organization through the future or tomorrow's results won't be there. Derek Abell agrees with CIOs when he said “running the business and changing it are not sequential but parallel pursuits” (Managing with Dual Strategies, Derek Abell, pg 3). CIOs stress that the pace of change and corporate obsoleteness is only increasing. CIOs suggest that newspaper boards learned a hard lesson by waiting too long and not challenging the status quo. CIOs suggest disruption is happening in most industries including retail, banking, healthcare and manufacturing. For this reason, CIOs say boards need to find CEOs that can think about medium and longer term as well as sustainability and the current quarter. This means finding collaborative, inspirational CEOs that can work across the organization and support the establishment of ‘digital mindset’. CIOs suggest that boards consider for reinvention and re-focus non-traditional CEOs. The goal should be to retune the legacy company. CIOs believe boards should, also, take on a governance role for ensuring the long-term future of their organization, laying plans for succession, new markets, etc. And that role today needs to include digital transformation. CIOs believe boards should be more prepared to help. CIOs favor boards that recognize the need for digital and a faster pace of business. Clearly, Target’s board went for a leader that grokked change and digital. Winning CEOs ultimately should see digital as less about the CIO and more about people, culture, and execution. How many boards look for digital skills? CIOs say that a CEO needs to be able to maneuver the ship and get staff to buy in. This is about delivering results not just operational results. It is, also, about being adaptable in the face of rapid changes. Getting a CEO like Brian Cornell was seen by CEOs as requiring a board that is aligned with today’s digital reality. CIOs said that boards have a critical role in shaping the future in the face of emerging risks and opportunities, but CIOs worry about how many have a clue to what's facing their businesses. Having said this, one CIO wondered if the board of Target would have behaved differently if they hadn't experienced a security breach. This is clearly impossible to answer. CIOs say time will tell on the relevance of Cornell’s skills to the future of Target. CIOs said that it may be too late for Target given how far ahead Walmart and Amazon are at leveraging data for competitive advantages. To fair, Cornell did lead Walmart’s initiatives around data and analytics prior to joining Target. CIOs asked whether the board worried about a risk divergence from core execution. They said that it is hard to land both retail execution and digital renewal in one person. Regardless, CIOs said that right CEOs needs to be able to simultaneously take direction and build a servant leader dynamic. CIOs feel that boards should be looking for a CEO that understands how to bring the right stakeholders together. They think it is increasingly important that boards have members that understand today's digital reality. This includes being aware that the pace of change increases cost to the business when the temptation is to do what HP did—cut expenditures for an immediate improvement to the immediate bottom line. Additionally, CEOs need to take time to understand industry trends. Study and hard-work matter. Boards need to put more attention here as well. CIOs understand as well that CEOs not only leads the people under them, but also has responsibility to build a collaboration with the board. From firsthand experience, balance here is difficult. Nevertheless, CIOs suggest a number the criteria needed for CEO’s to disrupt their business. These include business savvy, tech savvy, and ability to ‘future’. This means the ability to imagine a world where new business models emerge. CIOs suggest that not all boards are perfectly aware of the potential for digital disruption especially given their short-time with the company. Typically, they are monthly or quarterly with the company. CIOs believe that hiring a digitally experienced CEO makes great business sense for this reason. What some boards don't have is the ability to judge technical qualifications. A business that is not ready to make digital journey isn't going to typically make this kind of hire. Target’s board, they say was ready, because they already had an advanced storefront, experience with digital ecosystem with Amazon, and had explored new business models. What questions should boards ask CEO candidates to ensure they are getting a transformer? CIOs suggest, from their experience, that boards can have trouble framing what the digital or transformative expectations should be besides enhancing EBITA by X number of quarters. CIOs stress that digital leadership is not a role but a competence and everyone in the c-suite needs to be digitally competent. CIOs, for this reason, believe directors are accountable for knowing enough to carry out their duty in the digital age. CIOs say, unfortunately, the composition of some boards makes them unprepared to guide or hire for digital transformation. For this reason, smart boards will lean on outside expertise. When they lack an understanding of digital, they need to have the wisdom to ensure they hire the right CEO. Part of this can involve realizing that in the digital world what got you to where you are and why it won’t get you to the digital future. It is amazing that Jeanne Ross in her research found many existing successful companies believe their success is not guaranteed in the digital economy. CIOs say that CEOs need to run the business of today at the same time as they build the business of tomorrow. Tomorrow's business is fundamentally -- though not exclusively, of course -- digital. This aligns with the work of Derek Abell who wrote “as competition for current markets has heated up and as change has become increasingly pervasive, a single strategy encompassing the near and mid-term is risky…For this reason, managers need to at the same time to manage for today and manage for the future” (“Managing with Dual Strategies”, Derek Abell, The Free Press, pg 4). CIOs suggest that boards ask potential CEOs to define digital transformation and to provide good and bad examples of their leadership in these areas. CIOs suggest that boards needing advisors in executive search consider getting help, for example, the Accenture executive from digital practice. The goal should be to get unvarnished advice, not a report. Clearly, not every specialty can be represented on board—it is okay to recognize digital expertise is lacking and seek it out. CIO say that it is dangerous how prepared boards are to govern digital risks and opportunities. CIOs are reminded of business cases where boards were not ready to govern Enron and Worldcom. CIOs understand that board agendas are crowded and that most directors lack an IT understanding. These factors can push IT governance down on the list. CIOs believe, however, that boards should be digging into business strategy and perceived execution gaps versus new digital competitors. Should CIOs be part of interview process for CEO candidates? Today's CIO understands the trade-offs between competing technologies and is participant in envisioning future developments and their implications. They increasingly collaborate with C-suite, board, employees, and customers. With this said, CIOs have differing opinions about their involvement in a CIO interview. 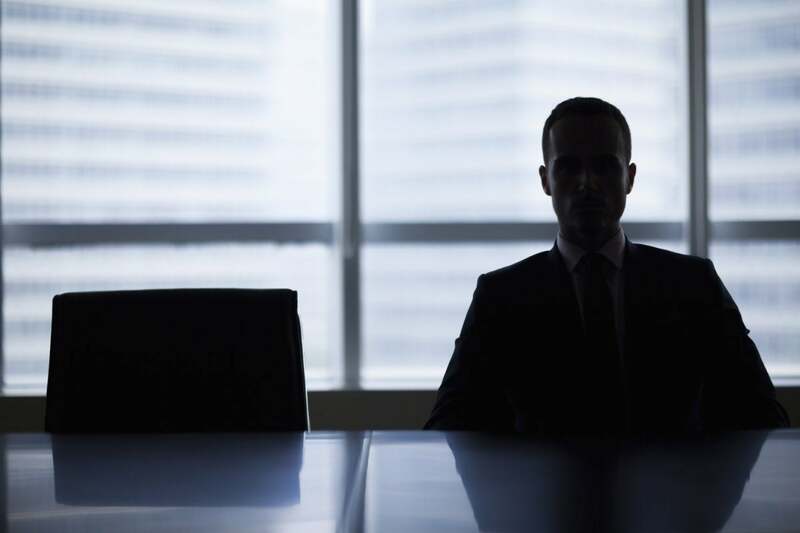 Some CIOs doubt that CIOs will ever be invited to a CEO interview, but they say perhaps it's a good idea especially if the CIO is leading a transformation program and demonstrating business impact. These CIOs suggest it clearly depends upon the CIO. These CIOs, however, suggest it could be relevant where there are questions about new entrants, adjacent market firms, or decisions to be made about products/divisions. Yet other CIOs suggest that directors pick the CEO and that CEO selection is the 'management' role granted to the board. For this reason, only board committee members should get involved. In fact, they suggest that the rest of the C-suite rarely is involved. One CIO that had experience working with boards said that “this is a very slippery slope politically and doesn't seem appropriate”. Clearly, having a CIO that is involved in a CEO selection is not yet a norm. But it seems increasingly clear that digital transformation requires a new type of CEO. It is up to boards to find and hire CEOs that can change business models and ensure digital disruptors do not take away legacy businesses. This requirement is a tremendous change. But if one thing is clear today’s CIO and the rest of the business need a CEO that is more than a great financial operator.